I would rent from Totally Campers again. 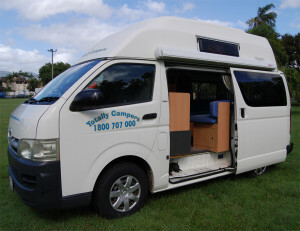 Totally Campers specializes in campervan hire from Sydney to Cairns. 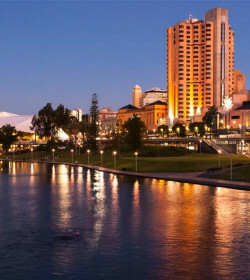 So if you are planning on travelling such places, they are most likely a good choice. Their vehicles are quite old, but they assure that all are in good condition. 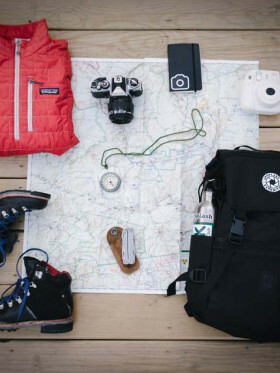 And the good thing about Totally Campers is they've got a best price guarantee, which means their rates may be cheap, but these are already inclusive of the basic necessities. And the longer the trip, the cheaper it gets. 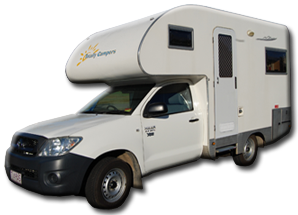 The company has a limited selection of campervans and a 4WD road camper. Currently, they only have 4 types of vehicles. However, they provide renters with choice for each campervan. They can choose whether standard, ultra or deluxe campervan. The standard type is the most affordable edition, but each type of campervan has unique features— from the vehicle model to the vehicle accessories. 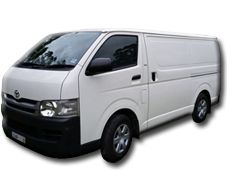 Their vehicles can accommodate 2 to 5 persons. Most of their vehicles are usually 2002- 2011 models. All campervans have 5-speed manual transmission. The vehicles may seem old, but they assure that all of their reliable campervans are carefully maintained. Some of the campervans have refrigerator, shower and toilet. To start, if you are looking for an affordable 2 or 3-berth campervan, you can choose from these two: Smartie Standard and Smartie Ultra. The two vehicles have almost the same features, including gas stove, sink, pots, pans, kitchen utensils, camping tables and chairs. The difference between the two is the age of the vehicles. Smartie Ultra campers are mostly 2007 – 2011 models of either Toyota or Mazda, while Smart Standard uses earlier models that ranges from 2002 – 2004. In light of this, the Smartie Standard is far more affordable than the Smartie Ultra. However, since the Smartie Standard is cheaper because of the earlier model used, there is no guarantee for a working air-conditioner. Further, the Hitop is a spacious and affordable campervan. This campervan also comes in two editions: Hitop Standard and Hitop Deluxe. All Hitop campers can seat 3 people, but if you are looking for a camper that offers space for 5 people, then the special edition 5 Seater Hitop – in Standard or Deluxe, is the model you need. Also, Hitop Deluxe is a bit pricey than the Hitop Standard because of the newer models used and the additional kitchenette accessories such as gas stove, microwave, sink. For a comfortable accommodation of 4 to 5 people, there is the 4 Berth Deluxe or Standard Motorhome. Both editions of 4 Berth campers are inclusive of refrigerator, freezer gas stove, hot & cold water, microwave, shower and toilet. However, the 4 Berth Deluxe is apparently the ultimate choice for comfort and style at the best price. It comes with one king size bed and one queen size bed. You can also add linen, pillows and blankets at $25 only. 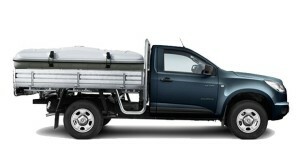 And lastly, their mighty 4WD Off Road Camper is a great option for all adventure seeker couples. 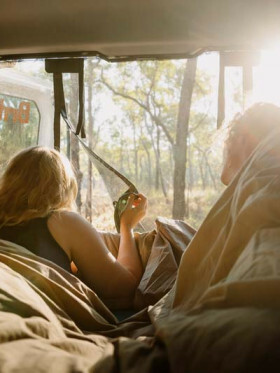 With the 4WD Off Road Camper, you can access more remote Australian tourist spots. The vehicle has the same features as the Smartie camper, but with additional hard shell tent for sleeping and slide out drawers for storage. Further, it is way cheaper than renting a 4WD Land Cruiser. The insurance excess depends on the type of vehicle rented. It ranges from a standard excess of $2500 to $5000.Totally Campers specifies that the hirer is accountable for the excess for the cost of damage, either for the rented vehicle or third party property. The cost of damage includes single vehicle accidents, tire and windscreen damage, fire, theft, break-in, vandalism, towing and the daily cost of vehicle idleness due to repairs. The insurance coverage does not include: single vehicle accidents and submersion in water such as driving in creeks, rivers, flooded areas, beach or any salt water. Talking about reasonable price and personal customization, Totally Campers is a great choice. 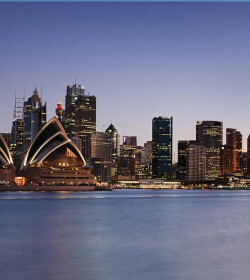 It is tagged as one of the most affordable and comfortable campervan hires for Sydney to Cairn. However, there was one negative review about Totally Campers with regards to the mechanical and handbrake issues. These concerns left the renter totally disappointed. Despite of one bad review about the company, Totally Campers is still a nice option for travelers looking for an affordable road trip. 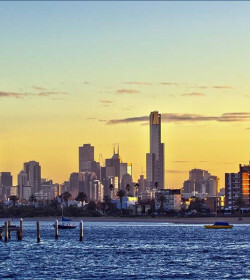 They are a budget-friendly campervan hire in Australia. 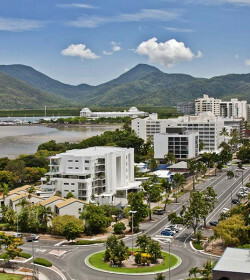 They are a specialist for campervan hire Sydney to Cairns. There are two active websites for the company and it is misleading. 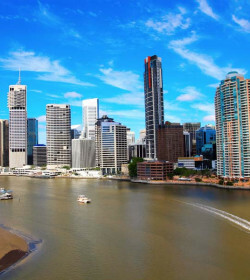 Only specializes one campervan hire location which is Sydney to Cairns. Unfortunately we had a terrible time with our van. It was difficult to get to the place we had to pick it up from, we had to wait a long time and the staff did not give us enough information about why we were having to wait. When we got the van we found that the handbrake didn’t work, neither did the internal fan and there was no cigarette lighter. We asked the owner of Totally Campers for a replacement van but were told none was available and that instead we should get these problems fixed and Totally Campers would pay for the bill. This was not what we expected to be doing on our holiday as obviously every moment is precious. We ended up having 3 days of having to waste our holiday time at garages trying to find times when they could fit us in, getting the cigarette lighter “fixed”, the fan investigated and the brake issue investigated and finally getting the breaks “fixed”, although Totally Campers did not want to spend money getting the brake pads and cylinders changed, as the mechanic had recommended, since they said they would be selling the van at the end of our trip anyway. This left us worrying whether we would be at all safe on the remainder of our trip, especially as we learnt the problem with the handbrake could have also caused the foot brake to stop working as well. Not to say the issue with the handbrake wasn’t enough when we were on a hill in traffic and trying not to roll back into the car behind us. The fan incidentally was never fixed so we had to put up with a roasting hot van for our entire trip. Other issues we had included that the bedding provided, one sheet and a thin blanket to share, was totally inadequate at the start of our journey meaning we had to get duvets which were discarded at the end of the trip. The knobs on the gas cooker were broken which meant we had great difficulties using it. All in all we were very disappointed. We complained to the owner on the returning of the vehicle. He did not seem to sympathise at all with our issues. He said if he was in our position he would have dumped the van in Sydney. We had been in contact with him throughout our trip so he knew the difficulties we were going through. Instead of being apologetic he was rude. He offered us one day of compensation which was totally inadequate and after much arguing he gave us 1.5 days compensation. I would definitely not recommend Totally Campers.